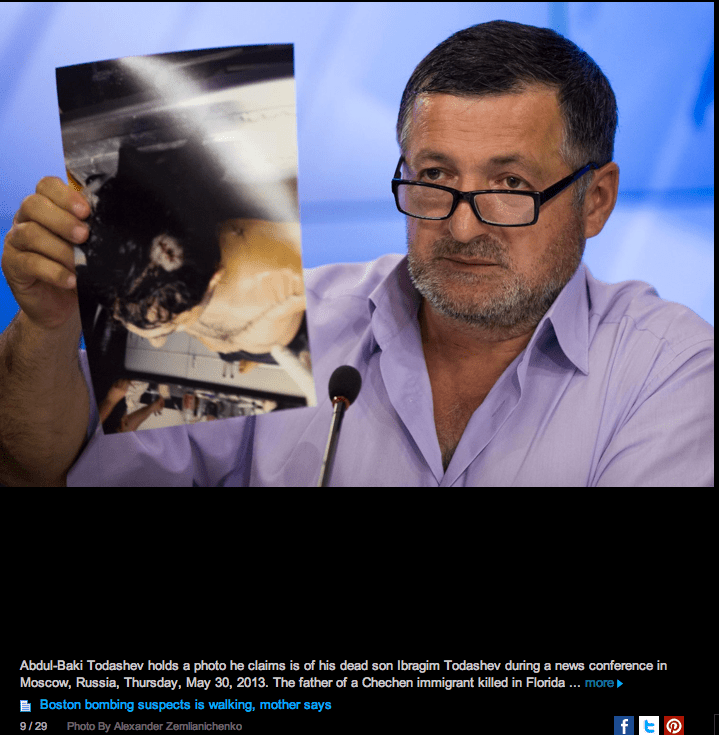 I’m just curious…just curious…how this gunshot wound happened on the back, top portion of Todashev’s head. Oh right, it was when he was leaning down to grab that sword that was hanging about his apartment. You know, his apartment. Where apparently FBI agents go to get confessions signed. Confessions for triple murders. Sounds legit. Agreed. A lot of things out there that make some of us question what exactly is going on. Too bad the masses can’t question the same stuff. I vaguely recall the Ruby Ridge thing from the news at the time and never paid much attention. I know there was some uproar about it. Then I look more recently at this episode and see that the feds paid damages to this family and even to the man who shot the US Marshall to death IN SELF-DEFENSE, and I’m abjectly horrified… I’m now more interested in looking into the Branch Davidian standoff as well. I remember sitting there watching the thing burn down on live TV. They aired it live… I did some Googling today and saw a picture taken from Waco of a group of FBI snipers posing and I saw an Asian guy and wondered if it was the same one that shot Mrs. Weaver. I know that sniper had an Asian name. How many Asian snipers can there be in the FBI? I recall all the damage control the Clinton administration did over these two episodes as well as with the Murrah building bombing, trying to use the media to whip us into a fearful, paranoid frenzy about militias.